technically minded and steam engine fans: the Melbourne Steam Traction Engine Club in Scoresby near Melbourne (Australia). On weekends you can steam-driven a ride around the site with the miniature railway. In GM, the Blue Dots offer many pictures inside and outside. 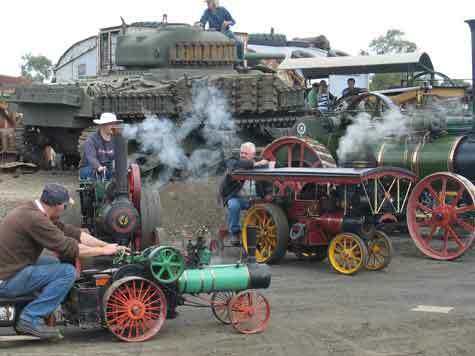 Noteworthy is the annual Melbourne Steamfest on the Areal.